I woke up this morning to get ready for class and found a awesome bit of news waiting for me in my email inbox. I made the cut! I'm on the Dream Team baby! 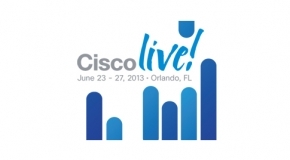 So this coming June I will be heading to Orlando, Florida to help support the Cisco Operations Center and Help Desk at Cisco Live! I can't tell you how great it feels! I think I had a smile on my face all day today at school. It's a fantastic opportunity and I'm just glad to be given the chance to prove myself. A huge thanks to friends and family that wished me luck on getting selected. Also, an especially big thanks to my awesome instructors who helped me through reccomendations and who have been rooting me on the whole time. Now just on to the logistics. I need to get my travel arrangements in order, work Summer classes into my schedule, and I'll have to see if I can get them to give me number 7 on my Dream Team jersey. They have jerseys right? Hey congrats man, that's awesome. How do you apply? Thanks Nicolas! I was nominated by my Cisco instructor. From there, you get chosen by the Network Academy to go.